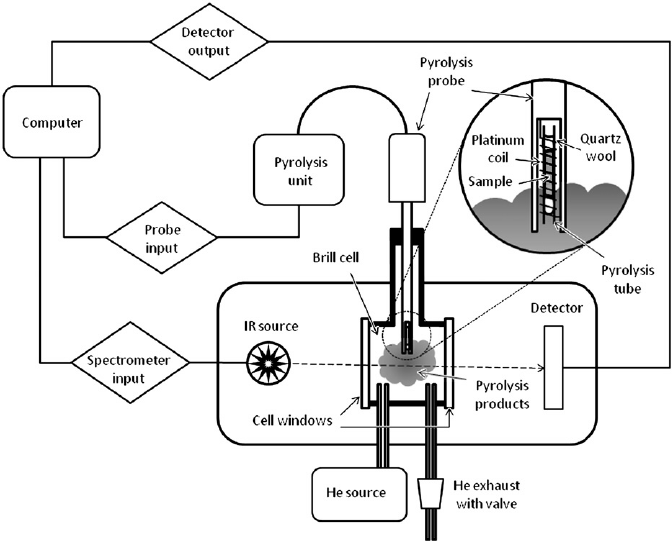 This method uses an infrared spectrometer with a heated gas sample cell through which pyrolysis products from a sample are collected under inert conditions. This is a useful technique for identifying dark rubbers that heavily absorb in the infrared range in their solid state. 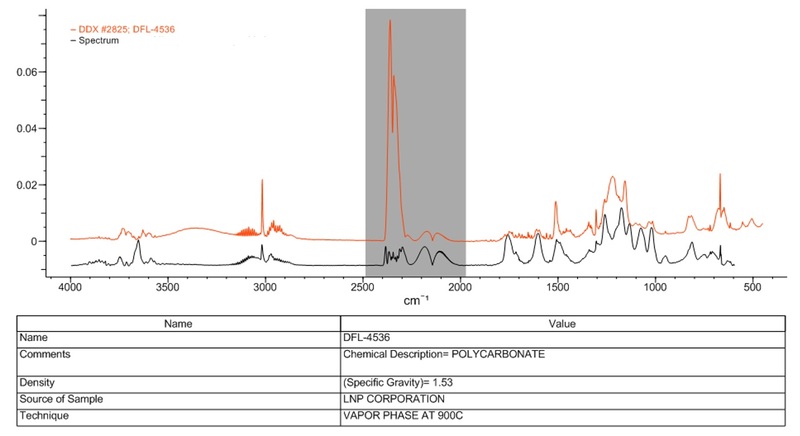 Pyrolysis FTIR can also be used to provide chemical/functional group information of an unknown material and is an excellent complimentary analysis to traditional FTIR, GCMS, and Pyrolysis GCMS. Samples can be thermally extracted at pyrolysis temperatures in a single step or at multiple increasing temperatures to thermally fractionate volatiles, semi-volatiles, and pyrolysis products.